Breakfast in your face… or… Breakfast. In your face! It took me a moment to think it up, but then I was all.. I kickpunched the air in celebration, quickly hopped into my car, and headed over to the local Safeway to get some ingreetz (“ingredients” if you’re a square). 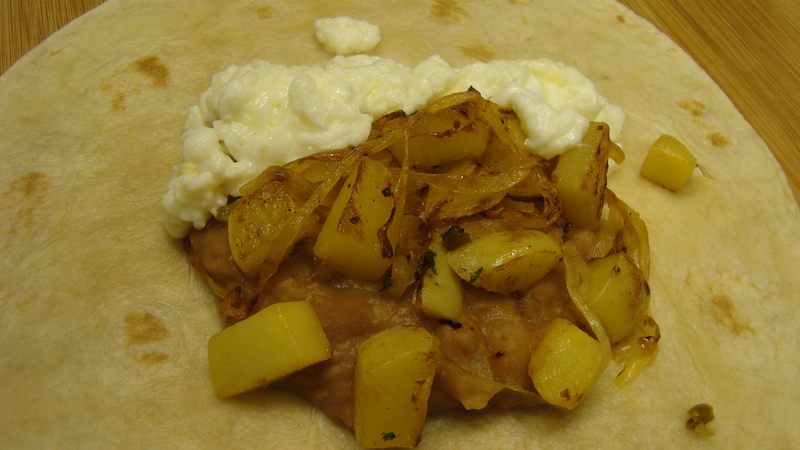 For Kara, this burrito has gold potatoes, onion, refried beans, cilantro, chiles, and scrambled egg whites. 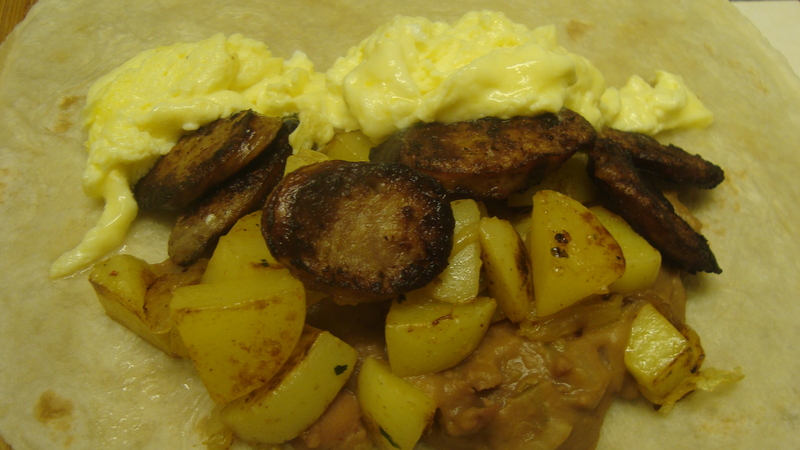 For me, substitute the egg whites for the whole egg and add some leftover bratwurst. That's right... Brats! It's Oktoberfest, baby! 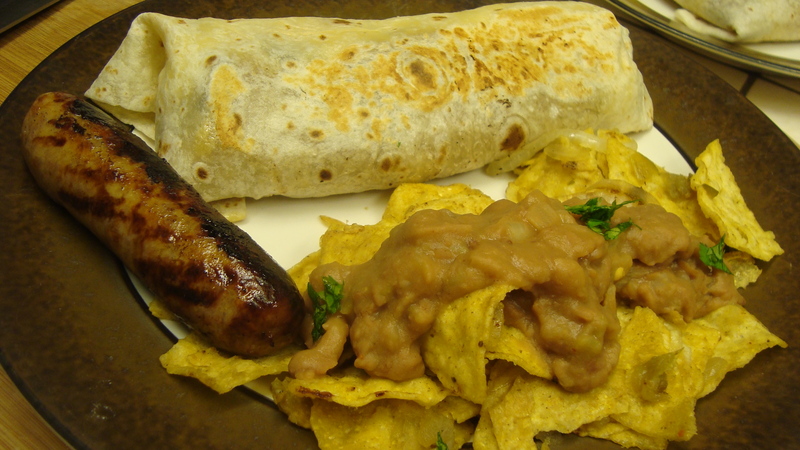 Breakfast burrito, bratwurst, and chilaquiles with Safeway Select Green Salsa. Why wouldn’t you stuff this breakfast in your face? This entry was posted on October 16, 2011 at 10:29 am and is filed under Uncategorized. You can follow any responses to this entry through the RSS 2.0 feed. You can leave a response, or trackback from your own site. Well my blueberry muffins were terrible now! LOL, lovin the brat burrito. You did add cumin to them, didn’t you?